Malaysia is the perfect destination for budget travellers in Southeast Asia. This beautiful country offers so much and you don’t need to spend a fortune to experience it. 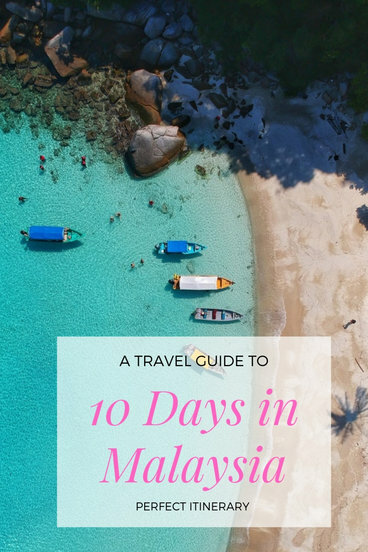 With this backpacking route 10-day itinerary you will discover vivid cities, delicious food, stunning beaches, breathtaking nature and the rich culture of Malaysia. This all is perfectly combined on the peninsular and close by islands so there will be no wasted time. Of course you could spend more days to explore Malaysia which is the world’s great cultural melting pot. 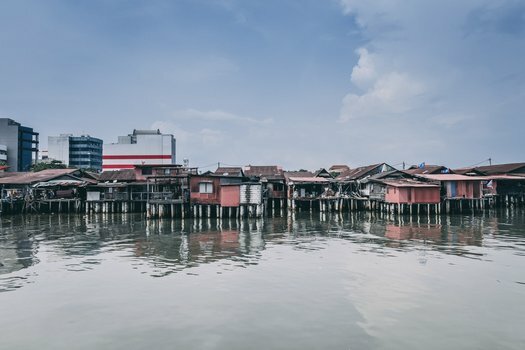 The famous Malaysian slogan “Truly Asia” proves that the variety of cultures can live together under one roof: Muslim Malays, diverse Chinese, Hindu and aboriginal groups like the Orangi Asli. The whole country embodies the modern development and old-fashioned charm of ex-colonies and nature side. Nevertheless Malaysia has less tourists than her neighbour countries like Thailand and Singapore what makes the local culture even more authentic because it’s less focused on travellers. It is very typical for Southeast Asia to be characterised as high heat and humidity all year-round. The same goes for Malaysia. There are two main monsoon seasons: The Southwest Monsoon from late May to September, and the Northeast Monsoon from November to March. The driest time to explore Malaysia is January and February which is of course also the busiest period. The most recommended time to visit Malaysia is from April to October. Nasi Lemak – it’s rice soaked in coconut milk and steamed. It’s a simple dish that is always served with sides like hard-boiled eggs and peanuts to vegetables and meats. It’s spicy and sweet at the same time. Apam Balik – the best way to describe it, it’s a rice flour pancake filled with sugar, peanuts or corn. Perfect snack on the go. Satay – on of the most famous dishes that many travellers have tried somewhere else already. It’s skewers of chicken, beef or pork grilled in peanut sauce. Nasi Danang – a well-known breakfast in Malaysia that contains rice cooked in coconut milk with fish curry. Hard boiled eggs, shaved coconut and pickled vegetables are also added to the meal. Laksa – yummy noodles combined with a gravy or sauce, veggies, and meat. You should try this Malay dish at different spots because it can be cooked in a different way. Some prefer to use coconut milk base, while others use broths. 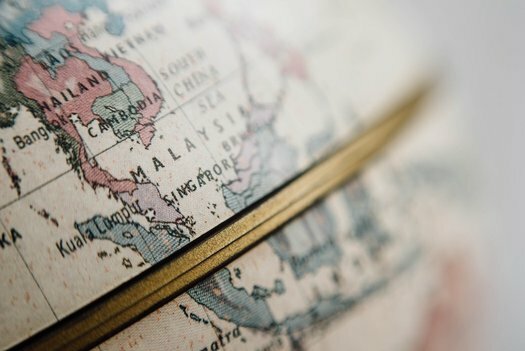 Is Malaysia safe to travel? If it’s your first time in Malaysia then you need to know that it’s a very safe country to travel to. Of course it doesn’t mean that you should lose your precautions, it’s always the best to practise common sense like you would do in your home country. The majority of the Malaysian population can articulate in English since it’s their second language. That makes travelling even more easy and fun. Kuala Lumpur is a city to fall in love with. The multicultural capital of Malaysia is an ideal epitome of the modern world meeting authentic traditions. There are skyscrapers, huge shopping malls, incredible restaurants but also sumptuous street food and a rich culture. Go and try some street food from the famous street Jalan Alor. There you can sample everything for low prices. Also pass by Pudu Was Sek Lai and get to know a taste of Chinese-Malay dishes. You can also just go through my other article “Perfect Kuala Lumpur Itinerary for 2 Days“. 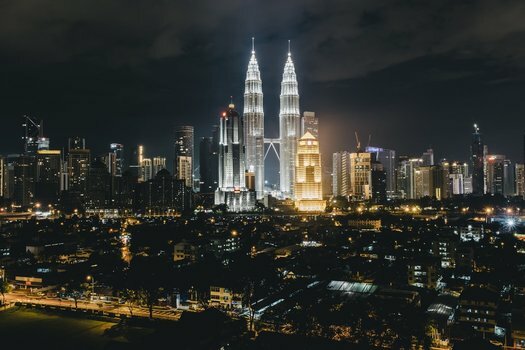 To the top things to do in Kuala Lumpur, Malaysia I would definitely add Batu Caves, Merdeka Square, Little India, Chinatown, Petronas Twin Towers, National Mosque. Spend full 2-3 days in Kuala Lumpur to immerse into the vibes of the country. Cameron Highlands is another gem in Malaysia. It’s famous for attractions like it’s beautiful garden, architecture in British colonial style and breathtaking views of the emerald tea plantations. I would recommend to spend 2-3 nights in this former colonial retreat with temperatures rarely going over 30 degrees. The easiest way to get here is to take a bus from Kuala Lumpur. You can find the timetable for the buses here. I would recommend to treat yourself and stay for few nights at The Smokehouse Hotel & Restaurant Cameron Highlands. The relaxing atmosphere and European colonial flair are perfect to enjoy an idyllic time in the area. Cameron Highland is a dream destination for those who search for peace and quiet. It has cooler temperatures than the rest of the country which makes it ideal for hiking lovers. If you are one of them then you should attempt to get to the peak of Mount Brinchang. There is a trail that will take you around 3 hours to reach the summit. On your way to the top of the Mount you will enter a surreal natural reserve, Mossy Forest. It’s not very well-known but this forest is a rich habitat for beautiful exotic plants. Visiting Cameron Highlands and not visiting the vast tea plantations is like going to Paris and skipping the Eiffel Tower. 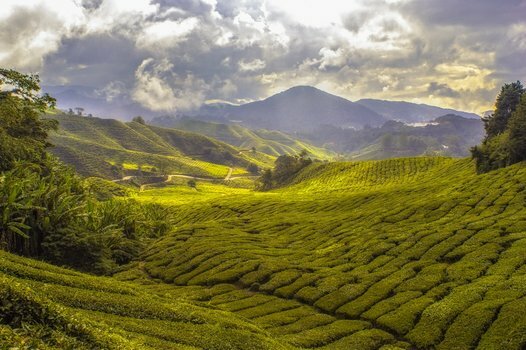 It’s the leading tea-growing region in the whole of Malaysia. Nevertheless the history of tea is not very old, it all started in the 20th century. Definitely go and see Sungai Palas Tea Estate, the oldest and most famous tea plantation. You will learn a lot about tea culture and taste delicious drinks. Another interesting fact is that Cameron Highlands is the center of strawberry production in the country. The iconic strawberries are growing here all year around. In the high season from May to August though you can get a chance to pluck fresh and sumptuous strawberries by hand. The most famous farms are Kok Lim Strawberry Farm and Raju Hill Strawberry Farm. To visit Butterfly Farm is always a good idea especially when it’s one of the oldest and most popular attractions in Cameron Highlands. It’s a perfect location to admire colourful flying creatures and take a wonderful picture for your Instagram. Taman Negara is one of the oldest rainforests and a huge national park on the Malay peninsula. It’s not far from Cameron Highlands so it would be a great choice to visit this 130 million years old tropical rainforest on your last day in Cameron Highlands. The beautiful park is a natural habitat for tigers, macaques and has a rich birdlife. It’s one of the best places to visit in Malaysia due to it’s breathtaking unspoilt flora and fauna. Penang is a compact island with many interesting things to see. It’s capital, George Town is one of Malaysia’s great cultural and heritage locations which is filled with UNESCO sites. It’s one of the tropical holiday favourites because of the ensemble of history, tradition established since the 1700s and the fresh touch of contemporary street art. The British colonial island is nowadays a melting pot of Asian and European elements that you will notice in it’s amazing street food, architecture and even culture. The best and quickest option to get to Penang is to take a bus from Cameron Highlands to Ipoh and then hop on another bus to Penang. It can take you from 2 to 4 hours to get to your destination. When you book tickets, inquire about travel times to choose the shortest option. Alternatively, you can also catch a bus or train to Ipoh followed by the ferry to Penang. Your stay in Penang depends on your intentions. If you want to be in the epicentre of culinary and cultural heritage, stay in the capital, George Town. Budget travellers will be surprised with the comfort, simplicity and beauty at the same time at Queens Hostel. For those who want to experience a unique stay in Penang should book a room at Cheong Fatt Tze Blue Mansion. If you are craving for a tranquil tropical holiday then escape to Batu Ferringhi. For the big spenders a great decision would be to stay at G Hotel Kelawai. Budget travellers can book a room at Rasa Motel. 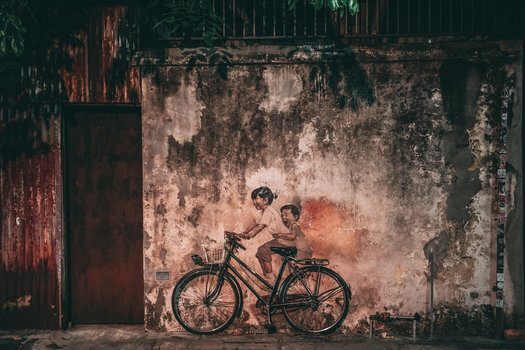 On your first day hire a bike for the cheap price of around $5 for the whole day – and head to the capital of Penang, George Town. Walk around it’s beautiful streets to learn more about it’s history and tradition. Best way is to begin at Lebuh Keng Kwee for delicious street food, then check out the street art at Chulia Street and finish your walk down Pitt street to observe some architectonic treasures. Kek Lok Si Temple is a popular Buddhist temple in Penang which means “Temple of Ultimate Happiness”. Hire a guide who will explain to you the interesting meanings of the numerous carved symbols and a history of this holy place. You are here to get to know a new culture and immerse into foreign history, right? So don’t hesitate to learn something new! You can end the day on top of Penang hill with magnificent night views over the city. On your third day enjoy the island’s best beaches and nature. The hikers can challenge themselves and follow the Penang National Park’s jungle trails. But there is also something for those who prefer to relax: Beautiful Tropical Spice Garden. The best way to end your day is to watch sunset at Batu Ferringhi. 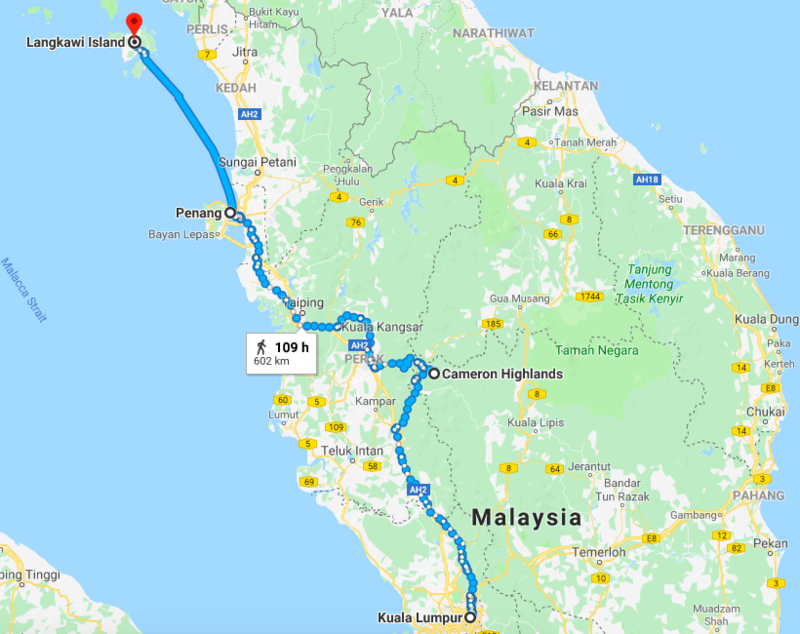 There are a few options on how to travel from Penang to Langkawi. There is a direct ferry and also a flight from George Town to Kuah. The cheapest combination is to go by bus or train and ferry via Butterworth on the mainland. Taking a high speed ferry is the easiest but a relatively pricey alternative. Within 3 hours you will reach the island but for those who get sea sick it will be an unpleasant journey. I would recommend to take the Penang ferry to Butterworth and then catch a bus right next to the ferry terminal to Kuala Kedah. There you will find ferries which operate almost every hour to Langkawi. Langkawi is known for it’s relaxing atmosphere with various sightseeing opportunities. It’s especially popular for honeymooners and families who are seeking for a perfect getaway. There are plenty of nice hotels and guesthouses to stay in which makes it a bit complicated to find the perfect place to stay in Langkawi. 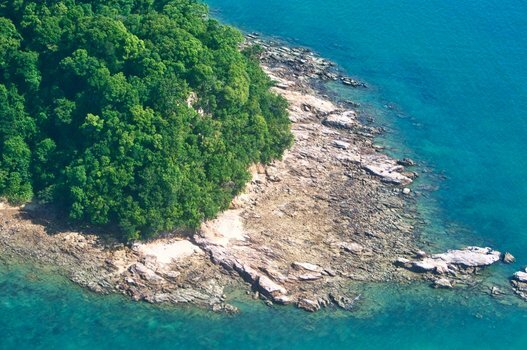 The most popular destination and best place to stay in Langkawi is Pantai Penang. There you will also find the widest choice of hotels with options for every budget. But this is also the area which is very crowded during the high season. The budget travellers will find a great place to stay at BONOBO Bed & Breakfast House. The ones who are searching for something a bit more luxurious should definitely check out Cenang Plaza Beach Hotel and La Villa Langkawi. For those who are travelling with kids I would recommend to stay in Pantai Tengah. Travellers who don’t want to just relax but to be close to all main attraction should in Pantai Kok. The cheapest Backpacking Hostel in Pantai Kok is SHAKA SeaGypsy. A great budget hotel is ZEN Rooms Basic Pantai Kok. If you are searching for peace and quiet then definitely go to Datai Bay. It’s an ideal spot for those who prefer exclusive, 5-star resorts. Doubtlessly the best place to stay in Langkawi for honeymooners. Berjaya Langkawi Resort is a great choice to enjoy the idyllic area. The best way to experience the beauty of Langkawi island within a short period is to join a half-day tour. It includes popular attractions like Cable Car Ride and Sky Bridge. 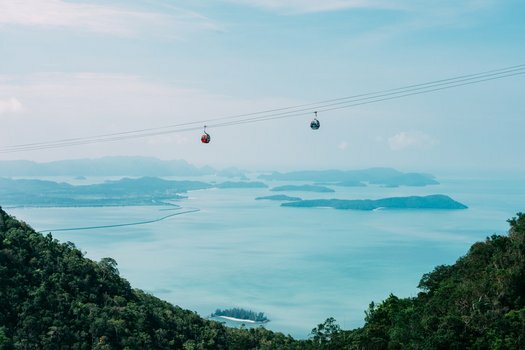 It’s should be the first thing on every travellers bucket list when they visit Langkawi. It’s a memorable experience with breathtaking views. Additionally you will see the Underwater World housing with more than 500 exotic species. It’s another huge touristic sight to see in Langkawi. Last but not least there is a visit of Eagle Square. It’s another interesting place to visit in Langkawi, a manmade impressive 12 metre-tall sculpture of an eagle. Langkawi is a big island that is surrounded by 103 other smaller islands. To visit these uninhabited islands you should sign up for an island hopping tour. It’s a great way to experience the crystal clear waters, trekking through the dense jungle like Kilim Karst Geoforest. Among all these it’s possible to do kayaking and snorkelling. The adventurous ones should visit a park with high ropes and zip lining through the Forest Canopy. The best way is to do it with Skytrex Adventure. The best way to describe it is challenging tree to tree trek with flying, gliding and adrenalin-filled experiences. You need to overcome obstacles in this forest adventure to get to the finish line. It’s a great way to spend some time with friends or family. This is an amazing tour and once in a lifetime experience of the Kubang Badak river with it’s exotic creatures as the Brahminy Kites, white-bellied sea eagles, mudskippers and herons. There is also a beautiful mangrove forest to observe. The hungry ones can taste a delightful home cooked lunch at the local family house. Definitely an unforgettable excursion. Singapore: It’s just stone throw away from Kuala Lumpur. Singapore is one of my favourite modern cities that I could visit again and again! Definitely a must see destination in the Southeast Asia. Indonesia: Bali, the island is incredibly beautiful and has a mysterious and diverse culture. It’s the perfect spot for backpackers who prefer to explore Bali on a budget but also for those who want to escape loud big city life and hide in a beautiful resort. Maldives: Maldives is the epitome of heaven on Earth with it’s incredible sandy beaches, luminous crystal clear water and relaxing atmosphere. Check out where the best honeymoon resorts are and how to travel to Maldives on a budget. This is amazing for exposing the beauty of Malaysia! And till today it is underrated though. However, i think you’re missing out on the other two Malaysian states in the island of Borneo. Another underrated hidden gem there 😀 Amazing article though! So cool. This looks like an amazing place that e need to visit soon!!! I love that a bike rental is so cheap. This would be my way of exploring the town. I had been to Malaysia. Seeing this list, I have missed out some of the places. If ever I plan to visit again, I can use this list. Okay, now you have me getting all excited. I’m planning to do a lot of backpacking with my grandkids this summer, they are all now old enough and I believe the Smokehouse Hotel & Restaurant Cameron Highlands would be something we’d all enjoy. I am thinking of traveling to Malaysia. The places are really great there.